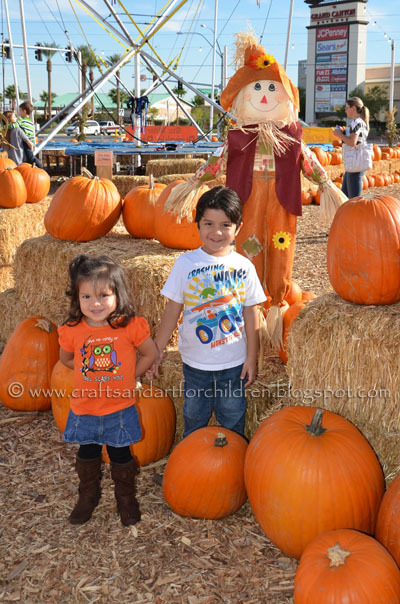 Both my kids adore pumpkins – Little Sister loves to point them out at all the places we go to! 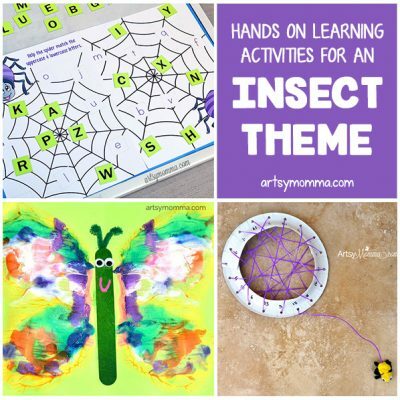 Here are all our pumpkin themed crafts, books, and activities we did this year…. The kids colored these pumpkin masks we had leftover from last year- they would be simple craft to make with construction paper too! Just draw the outline of a pumpkin and cut around it. 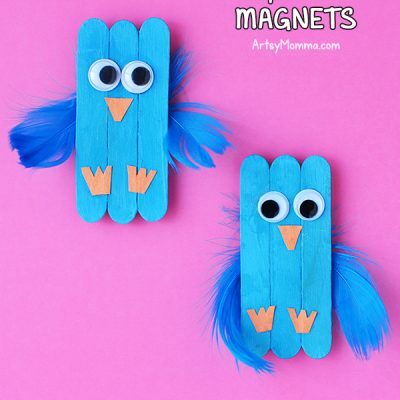 Hold the cut piece up to the child’s face and gently mark where the eyes are with a pencil or marker. Draw 2 circles big enough for the eyes to see through where you made the marks. I find it easiest to use an exacto knife to cut the eyes out. Have the kids decorate the mask and then tape a popsicle craft stick to it. 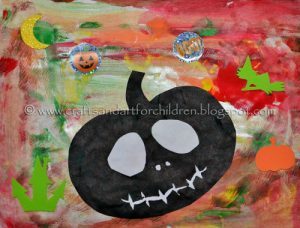 This Pumpkin Silhouette Painting was made by my 4 year old – check out our post from earlier this month where you can find the instructions for this kids Halloween painting as well as lots of others made by him and his 1 year old sister. 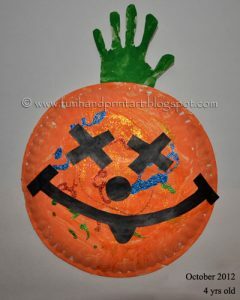 Head on over to Gummy Lump Toys blog to see our crafty contributor post: Handprint Pumpkin Halloween Craft for Kids. 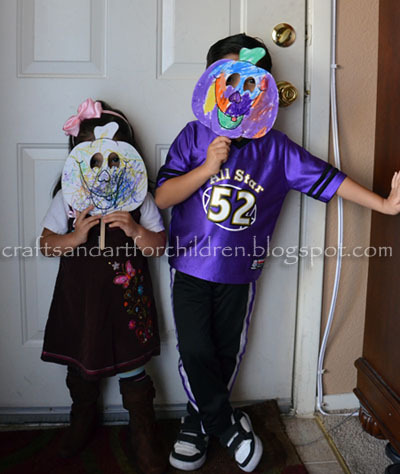 They loved making this Paper Plate Pumpkin Craft! 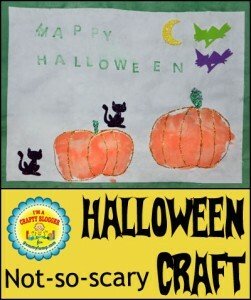 There is even a cute Halloween Poem and Book to go with it. They love the mini pumpkins they got to pick out & take home! She thought it was hilarious seeing Big Brother inside the bouncy obstacle course. 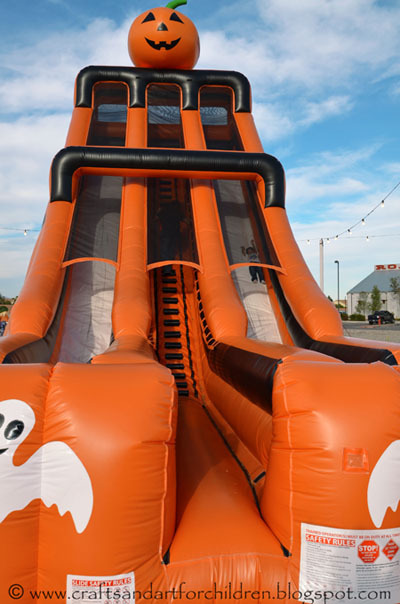 He, of course, treated it like he was on Wipeout – one of his favorite TV shows! Big Brother going down the giant Halloween slide. Little Sister braved it with Papa too! 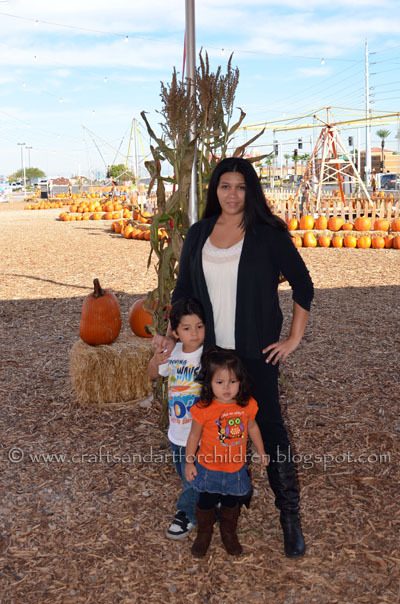 Me with my precious little pumpkins. My favorite photo taken that day…. love these two & their beautiful smiles!!! We let the kids each pick out a mini pumpkin to take home with them – I didn’t realize then just how much they would adore their pumpkins. Every day since then they have been playing with them & talking about them. My little guy begged for 2 days straight if he could please paint his! We finally had time 3 days later and they both had a blast decorating them. My son chose to paint each section alternating the colors purple, black, & orange. After the paint dried, they decorated them with glitter glue pens. Cute story about the life cycle of a pumpkin and the farmer who grows them. 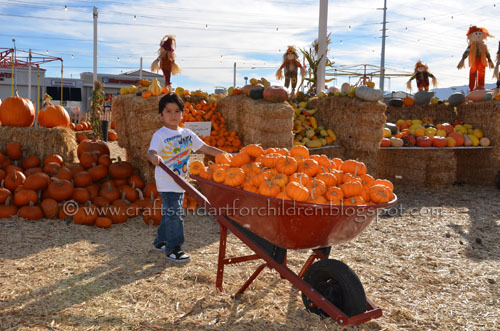 He picks a pumpkin for himself at the end and walks you through carving the pumpkin in a fun, kid-friendly way. My toddler excitedly grabbed her mini pumpkin and placed it on the pumpkins illustrated in the book- so cute to see her matching them. It was a perfect book for my almost 5 year old. There are also Bible passages at the bottom of the page that tie in with the story. The book takes you on a journey through the street with all the sounds & sights that you encounter on Halloween. 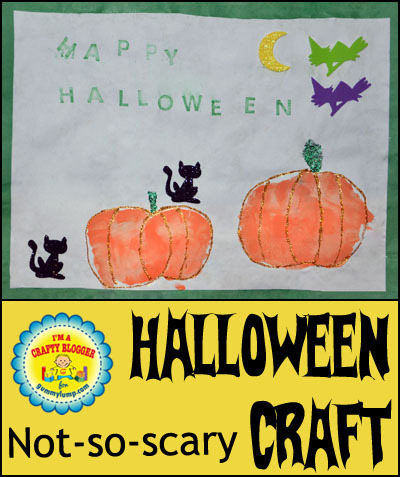 Not a scary book, but I wouldn’t recommend it for kids who are in the ‘scared of Halloween things’ phase. It’s a cute book otherwise. They also watched this adorable Halloween movie with their friends one day. It is about the cutest little pumpkin who is square-shaped and feels sad when the other pumpkins think that he doesn’t belong and shouldn’t be eligible for ‘Pick of the Patch’. He becomes friends with others who help him to understand that he is perfect just the way he is and should continue to try to be ‘Pick of the Patch’. Cute story, cute characters, + a great lesson for kids. Looks like fun. I like your book recommendations. My four year old wants to be scared… but of course, I don&#39;t want him to read anything really scary. we&#39;ll have to check out pumpkin eye. Your children are so adorable! 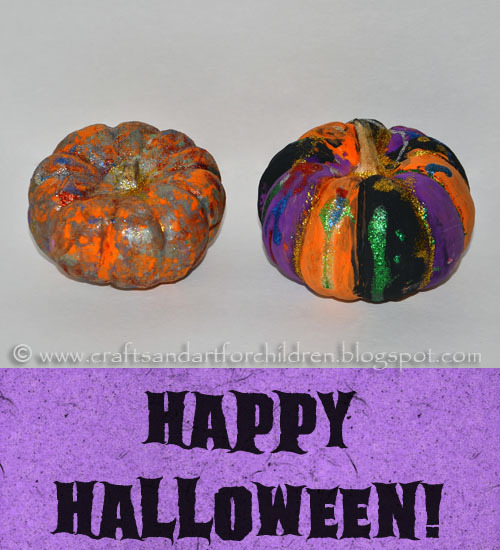 Love how their painted pumpkins turned out! Wow! 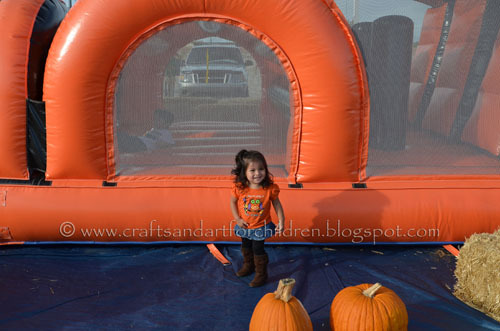 What a fun pumpkin patch! I also really like the pumpkin silouette! What a great time! Thanks for sharing at the Sunday Showcase!